I love linen because it lends a gauzy, breezy quality to a space, creating a feeling akin to a happy memory. You can also dress it up or dress it down: Unlined linen lets the sun shine through, lending the light just the right amount of tint. Lined and heavy varieties—especially with trim—will create a much more formal look, though by its composition will never appear too fussy. For those who are looking for a grounded and natural feel to a space, but with a light hand, linen would be the way to go. Linen is an ideal fabric for window shades because of its durability and tendency to hold its shape. With its natural slub texture, linen does not shed fibers as some other materials do. Linen is so strong that it is even used to reinforce paper money. Woven from the flax plant, linen is also an eco-friendly choice for several reasons. Flax grows naturally and is not resource-intensive to cultivate. Linen’s hollow fibers are adept at staying cool and letting air pass through in warmer weather, and especially when layered, trapping heat indoors during cooler weather. If you or someone in your home has allergies, linen is naturally anti-microbial and resistant to mildew. Now that you are familiar with linen and its admirable traits, where can it be used? Linen is incredibly versatile, and looks at home in contemporary and traditional interiors alike. 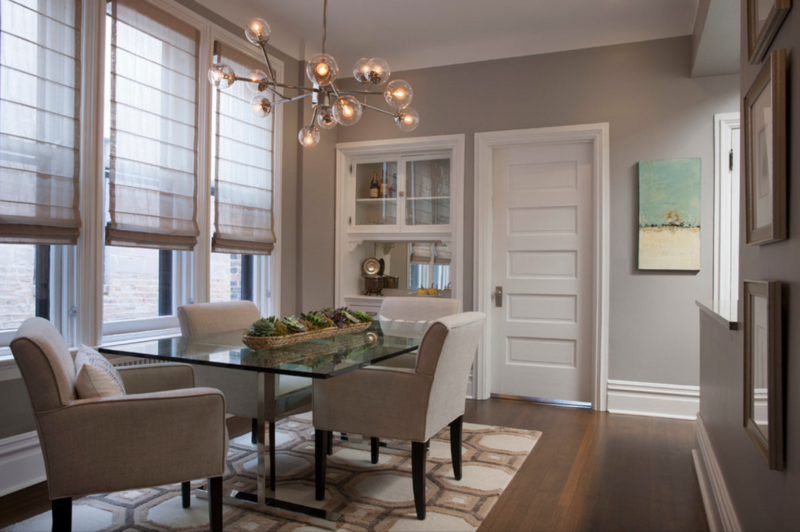 Stringfellow Interiors designed this gorgeous dining room featuring Cascade Roman Shades in our Linen Blend material. The shades are unlined, allowing plenty of natural light to filter through the large windows. If your room requires more privacy, we offer privacy and blackout linings to meet your needs. 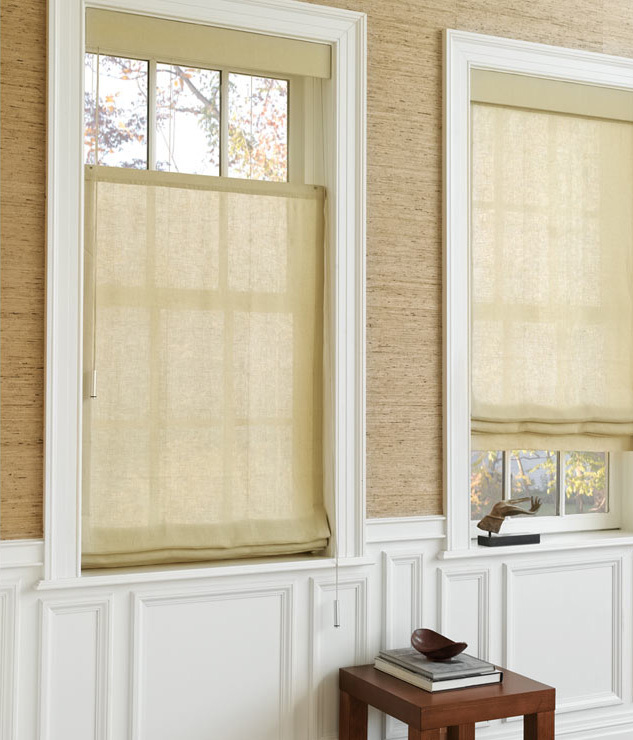 In a more traditional setting, these top-down-bottom-up Flat Roman Shades pair beautifully with the grasscloth wallpaper and white wainscoting. Linen folds well in the permanent stack of the Roman Shade. If you love the look of linen but are worried about wrinkles, we offer several linen blend fabrics and alternative materials that appear very similar. Linen Blend features a mix of linen and rayon and Coastal Sand offers a subtle sheen with linen, viscose, and silk. View our entire Linen collection for Roman Shades and Drapery and order your free swatches. If you have any questions about this elegant and understated fabric, stop into one of our nationwide showrooms or send us an email. 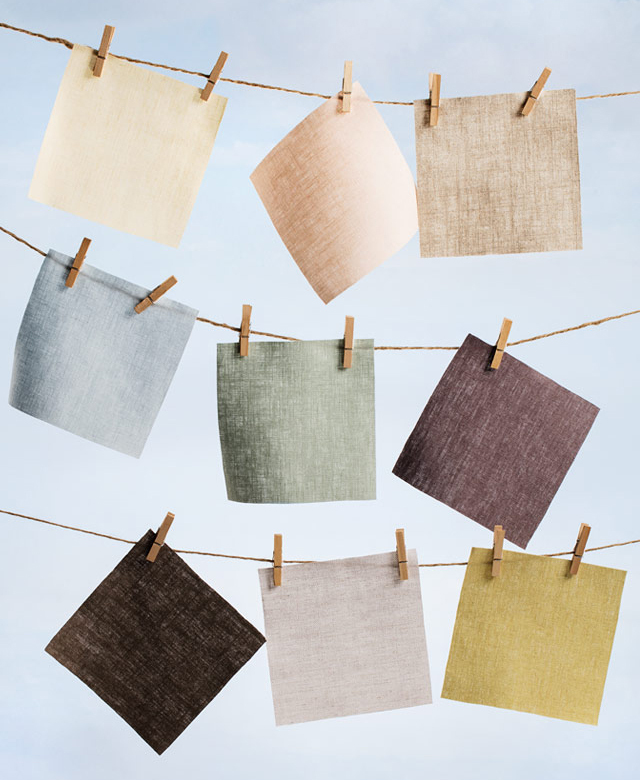 We’ll help you create the perfect linen shades for your home.